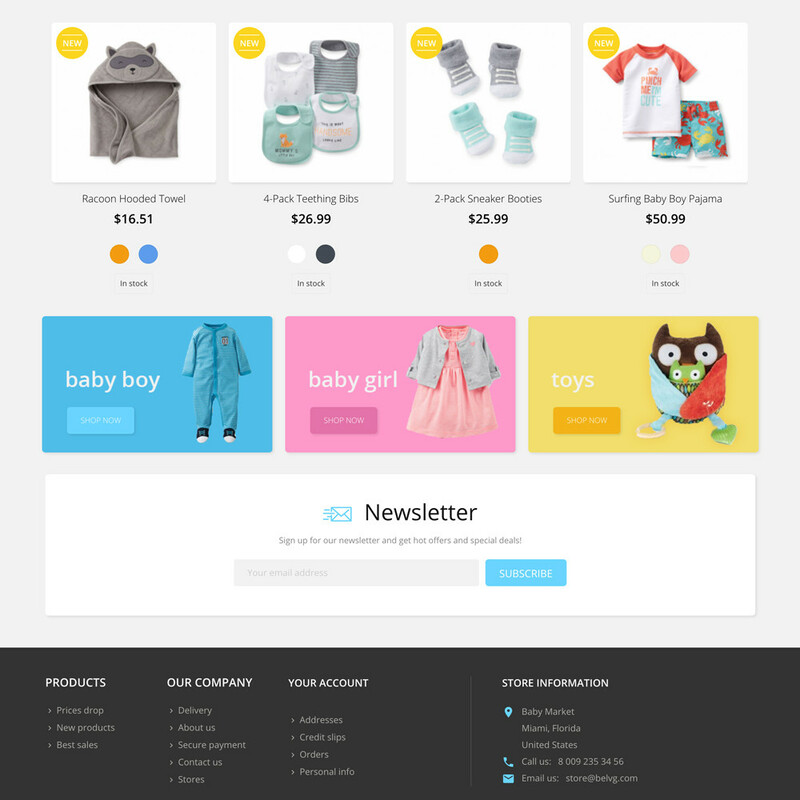 Baby staff is always much-in-demand that's why it requires a specially designed template for baby stores. 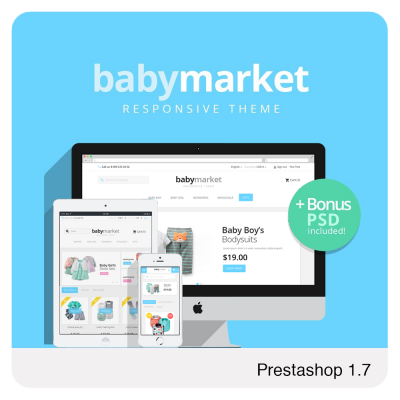 Baby Market Responsive Prestashop 1.7 Theme is notable for vividness, variety of colors and eye catching features that elicit shopper emotions. 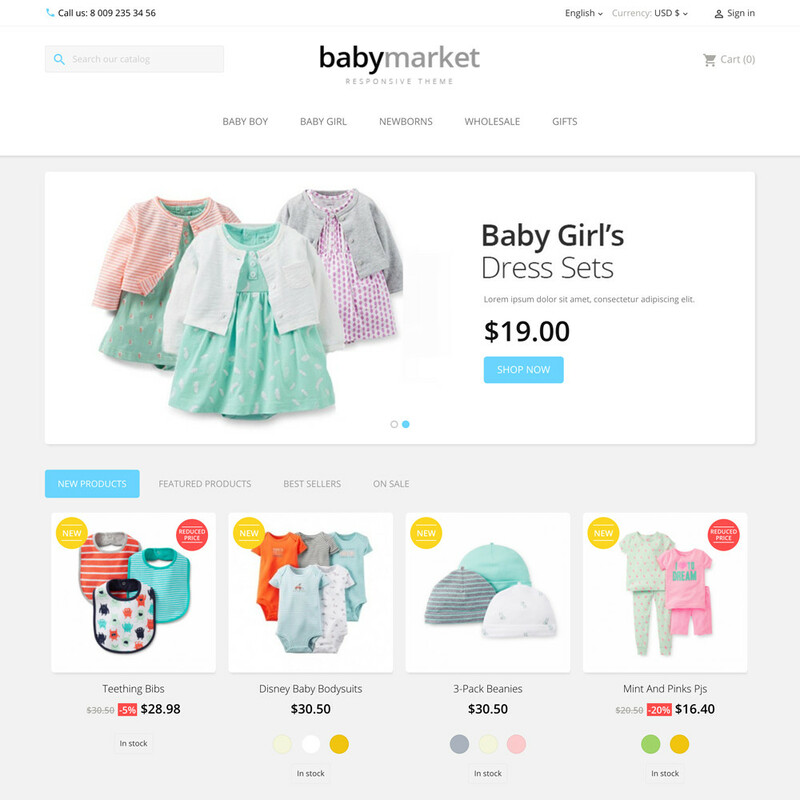 Baby Market Prestashop 1.7 Theme has been created for webstore owners who are concerned about its functionality as well as design. The theme is characterized by flaming colours and eye-catching features that draw customer attention. Сreating a remarkable emotional atmosphere by colors facilitates customer capture. Moreover, focusing on brightness it elicits positive attitude making shoppers surf the webstore and purchase items. At the same time don't think the template is single-purpose that suites only this product line. In fact, it is believed to have been designed for wide range of products regardless its specialization. 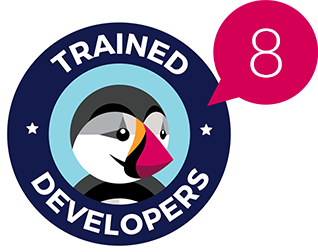 So, having a strong desire to add the module for your webstore, feel certain it'll suite you. 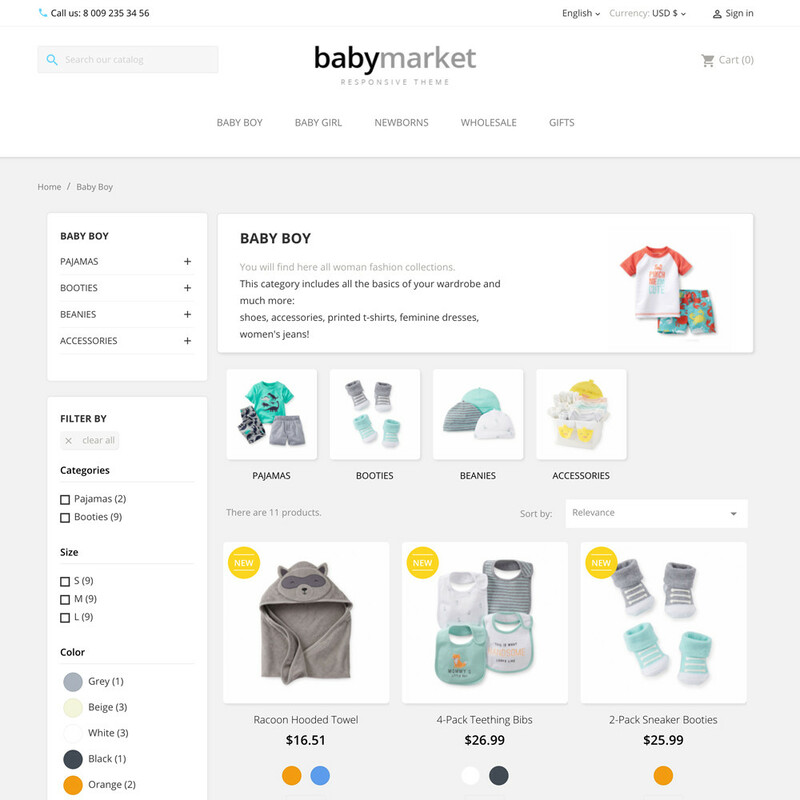 As for the module functionality, there is easy navigation that helps shoppers find an appropriate item within minutes. Mousing over the pictures, they are highlighted allowing you to zoom photos in size. 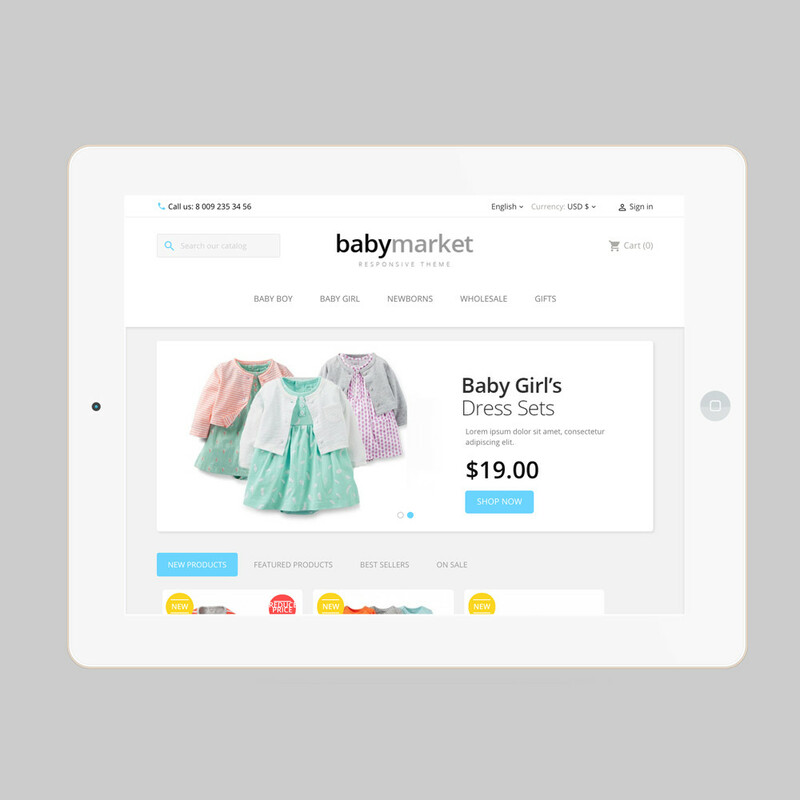 This embedded feature enables a customer to have a closer look at the item as if you were in a store. 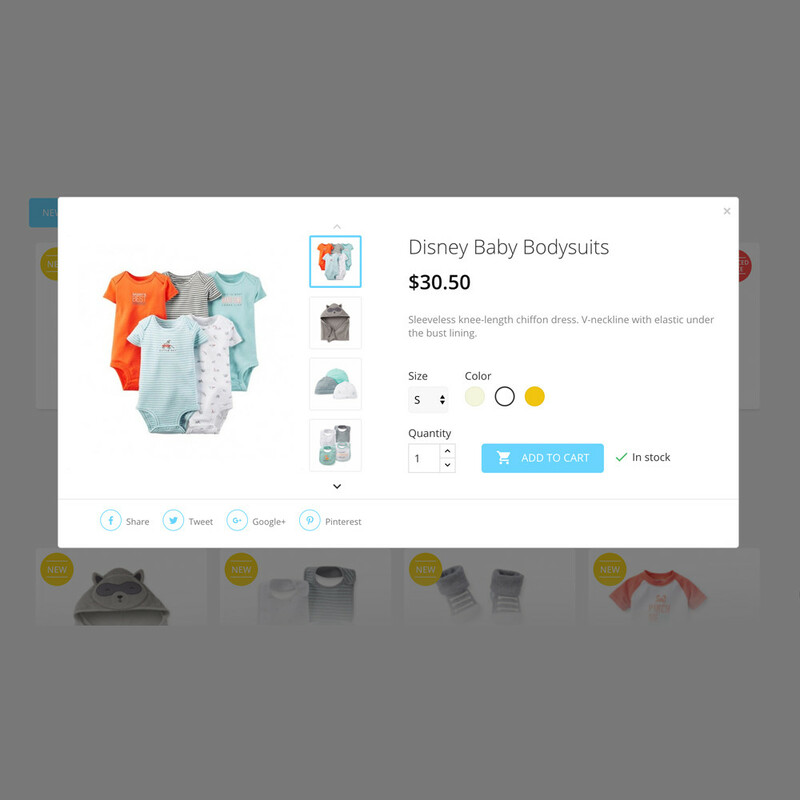 Using slider all the photos concerning an item can be interchanged that provides customers with overview. 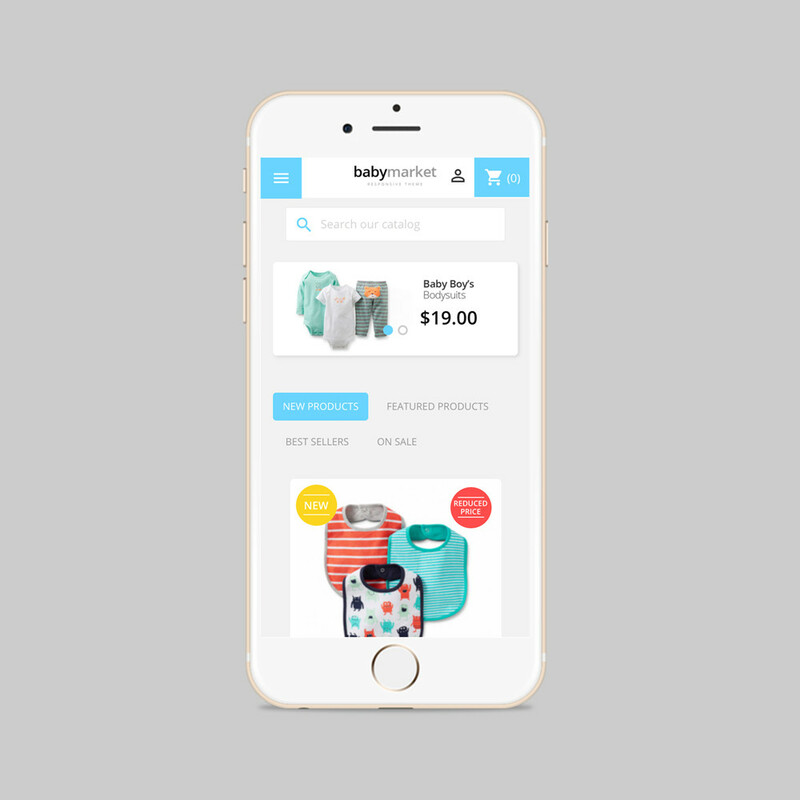 Moreover, the block with necessary data relating to the item is placed alongside of the pictures that is assured to be easy to use. 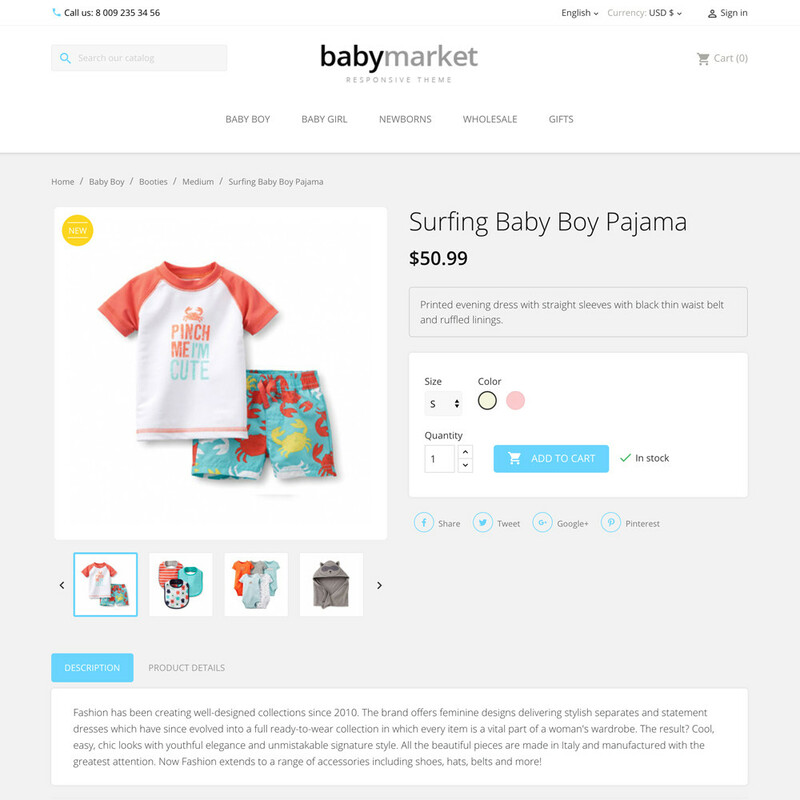 In addition, the theme comes with the built-in Scroll Top and Quick View module which allows viewing and adding products to the shopping cart right from the quick view pop-up, without causing page reload. On the whole, the theme based on both graphics and control elements make your store extraordinary and stand out from regular ones.